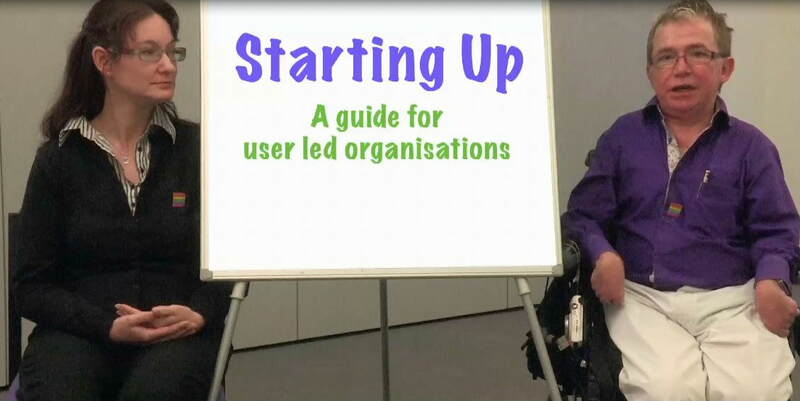 The SPECTRUM ULO Team have produced a training video on starting up a ULO. This learning video is based on the real life experiences of groups who have gone through the setting up and early development process. It includes extracts from interviews with three groups who are members of the Hampshire User Led Organisations Network talking about their own experience; the issues they had to deal with; and the solutions they found to deal with the challenges they faced. Topics covered include, working out your direction, planning, funding and finance, and how to get advice and support. Each section of the video is accompanied by an introduction to the theme/topic and a summary of key learning points. The film is part of a training package comprising of the video on how to set up your own User Led Organisation, plus supplementary learning notes and a written resource on obtaining funding. The learning notes and funding guide will be available to download from the web site shortly.